The Summit Common Council Approves Park Line MOU! Great news! Tonight, September 4th, the Summit Common Council approved the ‘memorandum of understanding’ between the city and the Summit Parkline Foundation. Thanks to all of our supporters who spoke and Parkline Foundation board members in attendance, Frank Macioce, Jay Brinkerhoff, Elissa Cordrey and Jeff Hankinson. This MEMORANDUM OF UNDERSTANDING (“MOU”), entered into by and between the City of Summit (“City”), having an address at 512 Springfield Avenue, Summit, New Jersey 07901, and the Summit Park Line Foundation (“Foundation”), having an address at 84 Prospect Hill Avenue, New Jersey 07901, agree to the following terms in relation to the development and maintenance of the Summit Park Line (collectively, the “Parties”). The New Jersey Department of Transportation (“NJDOT”) owns a railroad right of way which runs from the edge of the downtown area of the City of Summit (“City”), in front of Overlook Medical Center, and along a 1.2 mile path into Briant Park. This railroad right of way is part of the abandoned Raritan River Valley rail line. The NJDOT entered into an agreement to grant the City and the County of Union a permanent license to construct, reconstruct, operate and maintain a linear pedestrian and bike path on the portion of the abandoned Raritan River Valley rail line that is within the City (the “Agreement”) and call such a linear park as the Summit Park Line, hereinafter, “Park Line”. 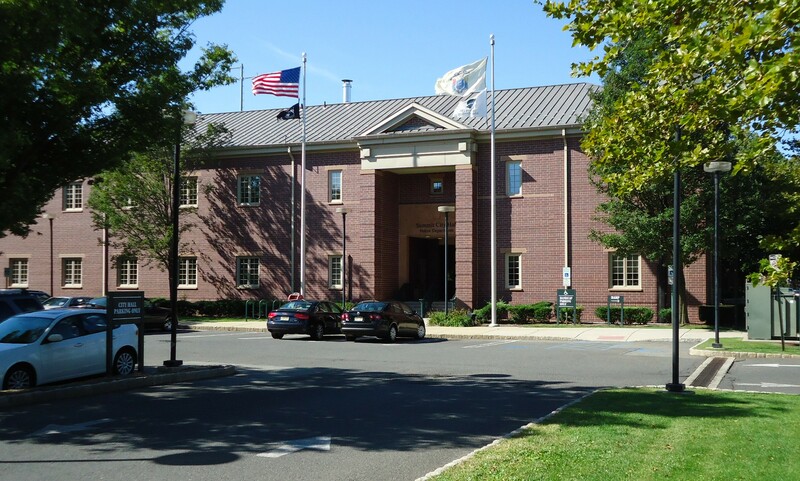 Pursuant to such Agreement, the City agreed to defend and indemnify the NJDOT for all damages to the Park Line property caused by the City’s contractors and consultants. Unlike other natural areas or recreational fields in the City, portions of the Park Line would be a wholly new park in the City. Pursuant to the Agreement, the City must obtain approval from the NJDOT prior to any construction of the Park Line. The City has confirmed with the Joint Insurance Fund that its existing insurance covers contractors. The City further agrees to defend, indemnify and hold harmless the Foundation, and its trustees, officers and agents for all actual or alleged damages to the Park Line Property caused by the City’s contractors or consultants should the Foundation become the subject of a suit or claim for damages caused by such contractors or consultants and from any other liability or threatened liability, damages, losses or expenses, including attorneys’ fees, arising out of its activities contemplated by this MOU, except for any actual liability, damages, losses or expenses, including attorneys’ fees determined by final, non-appealable judicial adjudication to have been a result of gross negligence or willful misconduct of the Foundation or its trustees, officers, or agents. Any contract to develop and/or maintain the Park Line must be procured by the City in compliance with the Local Public Contracts Law, N.J.S.A. 40A:11-1 et seq. Construction of the Park Line shall be in compliance with applicable local, State and Federal laws. As set forth in a resolution adopted by the Common Council on March 10, 2015, the City may accept donations for development and maintenance of the Park Line pursuant to N.J.S.A. 40A:5-29. The Foundation is a not-for-profit 501(c)(3) organization whose mission is to raise funds and distribute such raised funds to the City for the development of the Park Line. The City will maintain the Park Line in accordance with section 12 of the Agreement. The City acknowledges that trails and rail trails are created largely through the efforts of volunteers. In the case of the Park Line, these efforts have been organized by the Foundation, which also serves as a funding entity for its development. The Park Line is currently conceived in three (3) phases. The Park Line also currently envisions the placement of a pedestrian/bike bridge across Morris Avenue and Broad Street, which bridges shall be considered part of the Park Line for purposes of this MOU. Phase I of the Park Line is the area between Broad Street and Morris Avenue along property owned by Overlook Hospital in addition to several other private properties. Preliminary work on Phase I was completed in 2017, including the placement of asphalt to create a path. There was also additional work on property owned by Overlook Hospital. The Parties agree and acknowledge that the City’s responsibilities under this MOU are only for the Park Line, including the path to Upper Overlook Road on the property owned by Overlook Hospital, and any work performed by the Foundation or Foundation partners, affiliates, supporters, or individuals affiliated with the Foundation (“Foundation Partners”) on property owned by third parties, other than Overlook, is the responsibility of the Foundation for which the City takes no liability or control and for which the Foundation has an independent obligation to negotiate terms and conditions on use and operation. Prior to the City’s development or construction of any further phases, the Summit Police Department and Summit Fire Department will each provide to the City and to the Foundation, no later than sixty (60) days of the execution of this MOU, a written report or safety plan, which would outline what, if any, each such public safety entity respectively, would require in any development or construction of the Park Line, the estimated costs of such requirements, and any foreseeable physical, legal or other impediments. It is understood and agreed that the City may request any necessary modifications to ensure public safety. The safety plans and reports will be made available to the public and discussed as set forth in Paragraph 22. Based on such comments, the City may need to revise or modify the plans, which may have an impact on the type of development and/or construction of the Park Line. The City shall identify access points and address any parking needs for pedestrians and bicycle users of the Park Line to ensure safety and address community concerns. The Foundation may offer outreach materials to the community such as brochures, newsletters, posters, displays, etc., provided that such material shall not contain any language that would imply that it has been approved by the City. All outreach materials containing any reference to the City must be approved by the City. Any Park Line signage must have the prior written approval of the City and will carry the official logos of the City and the Foundation. All written communications between (i) the Foundation, its trustees, officers and agents and (ii) City employees will be copied to the City Administrator. To the extent the Foundation is engaged in raising support or interest at local festivals, community events, public presentations, meetings with third parties or other governmental entities regarding the Park Line, the Foundation must represent that it is an independent non-profit and that it cannot and does not speak on behalf the City. Under no circumstances can the Foundation or its members represent that they are acting on behalf of or are an agent for the City, unless they are collectively or individually expressly authorized to do so. The Foundation agrees to specifically instruct its members and Foundation Partners on this fact and agrees to periodically advise any new Foundation Partners to reinforce this agreement. Prior to proceeding with further development of the project, the Common Council will hold a public workshop as soon as practicable, but in any event within ninety (90) days of the execution of this MOU to gather public comments, including on the safety plans identified in Section 17 and preliminary budget identified in Section 24. The City shall utilize the funds raised by the Foundation in furtherance of developing the Park Line at the City’s sole discretion, including, but not limited to, creating paths and pedestrian bridges, and installing trees, plants, lighting, access stairs, ramps, and fencing. The Foundation will assist the City in establishing a budget that identifies the estimated costs associated with constructing the Park Line. A preliminary budget will be drafted no later than sixty (60) days of the execution of this MOU and such preliminary budget will be presented to City Council. The City and the Foundation will make reasonable and good faith efforts to seek out and apply for grants to provide additional funds for the Park Line. Foundation donations to the Summit Park Line Trust account established by Common Council shall be used as specified by the Foundation. The Foundation shall provide the City with all funds so that the City can retain any expert studies or engineering reports necessary to proceed with the project that cannot be prepared by City staff, including any engineering work necessary for pedestrian bridges. The Foundation shall provide the City with all funds so that the City can dispose of rails and other materials removed from the site, but it is understood and agreed that the cost of removing any contaminated soil, contaminated rail ties, or other contaminated material in compliance with all applicable laws, shall be the responsibility of the City. Materials will be left on-site where practicable and not in violation of any applicable laws. This MOU and the rights and obligations of the parties hereunder shall be governed by, and construed and enforced in accordance with, the laws of the State of New Jersey. The City and the Foundation hereby submit to the jurisdiction New Jersey State Court for purposes of all legal proceedings which may arise hereunder. This MOU shall not be amended, modified, or supplemented without the written agreement of the parties hereto at the time of such amendment, modification, or supplement. This MOU shall be binding upon and inure to the benefit of the parties hereto and their respective successorEach party to this MOU shall enter the date it caused this MOU to be signed below its respective signature, and the last of such dates shall constitute the date of the execution hereof. Each party that executes this MOU has the legal authority to bind that party to this MOU. This MOU may be executed in one or more counterparts, each of which shall be deemed an original but all of which taken together shall constitute one instrument. A facsimile or electronic signature to this MOU shall have the same legal effect as an originally drawn signature for all purposes.